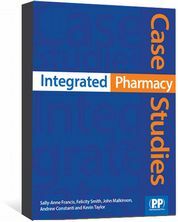 Integrated Pharmacy Case Studies ebook covers over 90 cases based on real life patient-care scenarios. Sally-Anne Francis - Honorary Senior Lecturer in the Department of Practice & Policy at UCL School of Pharmacy; Felicity Smith - Professor of Pharmacy Practice at UCL School of Pharmacy; John Malkinson - Senior Lecturer in Pharmaceutical Science Applied to Practice at UCL School of Pharmacy; Andrew Constanti - Reader in Pharmacology at UCL School of Pharmacy; Kevin Taylor - Professor of Clinical Pharmaceutics at UCL School of Pharmacy. 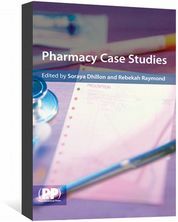 Integrated Pharmacy Case Studies eBook boasts over ninety individual cases based on real-life scenarios. 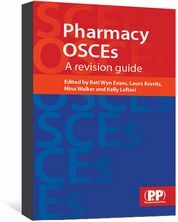 Each case draws on the fundamental aspects of pharmaceutical chemistry, pharmacology, pharmaceutics and therapeutics within a patient-care context. 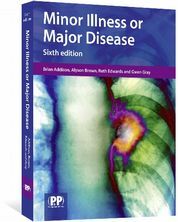 For more information, read our interview with the authors.